The American Academy of Pediatrics recently released a study that shows more than 5,100 kids visit emergency rooms each year, suffering injuries after falling from windows. From 1990 through 2008, a staggering 98,415 children were treated in emergency rooms for injuries from window falls. Most injured were young children, often falling through closed screens. “Manufacturers have known for decades that window screens are not strong enough to hold back an inquisitive toddler,” said G. Grant Dixon III. Grant is the founder of Dixon Law Office and a frequent advocate for children’s injury cases. Parents assume that bug screens are strong enough to protect their children. The fact is they are not. And this is not just a problem in high-rise buildings. Many of the reported injuries came from falls out of first and second floor windows. If your child has been injured after falling through a screen, contact Dixon Law Office by email or phone at 888-354-9880. We have the experience to help you and your family get the compensation the law entitles you to. “Most States allow bicycles to be ridden on sidewalks,” said G. Grant Dixon III, founder of Dixon Law Office and an avid cyclist. Grant continued, “The restriction is usually that the bike rider has to watch out for pedestrians.” Illinois has such a law. 625 Ill.Comp.Stat. § 5/11-1512. That law allows bikes to be operated on sidewalks and crosswalks unless the traffic signs say they cannot. Some cities try and limit that right, forcing bicycle riders – even young children – into the street. “The street is the place of the most danger for all bicyclists, particularly young children,” Grant said. If you or your child has been injured in a bicycle accident, please email us or call our office at 888-354-9880 to schedule an appointment with an experienced bicycle accident attorney. We are here to help you get the compensation you and your family deserve. allow bicycles to be ridden on sidewalks,” said G. Grant Dixon III, founder of Dixon Law Office and an avid cyclist. Grant continued, “The restriction is usually that the bike rider has to watch out for pedestrians.” Illinois has such a law. 625 Ill.Comp.Stat. § 5/11-1512. That law allows bikes to be operated on sidewalks and crosswalks unless the traffic signs say they cannot. 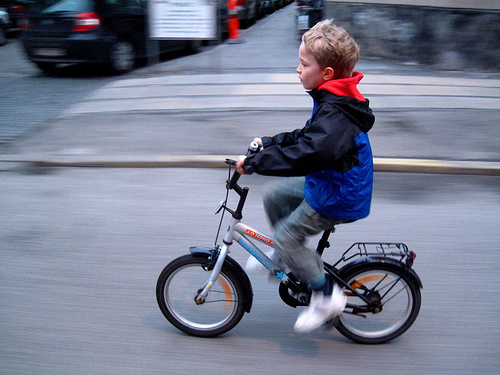 Some cities try and limit that right, forcing bicycle riders – even young children – into the street. “The street is the place of the most danger for all bicyclists, particularly young children,” Grant said. A recent article published by the New England Journal of Medicine revealed that only 1.6% of doctors had claims against them in a year that resulted in payment. “This article documents what we have been saying for years. The facts show that doctors rarely get sued and their insurance companies almost never have to make a payment,” said G. Grant Dixon III, founder of Dixon Law Office. Dixon Law Office frequently represents the families of victims killed as a result of medical malpractice. While the data is somewhat incomplete, the article notes the results are directly contrary to older studies. The article is titled Malpractice Risk According to Physician Specialty and was published August 18. This does not mean malpractice is uncommon. Another study revealed that medical malpractice is the 4th leading preventable cause of death in America. If you or a loved one has been the victim of medical malpractice, call Dixon Law Office. They have the experience to get you and your family the justice you deserve. Contact them by email or call 708-354-9880. They can help you. Bicycles Riding on Roads – Is Right Right? If you or a loved one has been injured or killed in a bicycle accident, please email us or call our office at 708-354-9880 to schedule an appointment with an experienced bicycle accident attorney. We are here to help you get the compensation you and your family deserve. What separates the American system of justice from nearly every other is that regular citizens hear cases and decide the result. Nearly all of us have been called for jury duty at one time or another. Some are reluctant, some are excited. But appearing is a demonstration of respect for our system of justice that has worked for over 200 years. Sadly, some people are trying to take advantage of the sense of duty and responsibility held by many Americans. The Federal Bureau of Investigation has reported on a scam in which people are tricked into providing their social security number. The scammer calls, saying you missed jury service. They ask for your social security number for “confirmation.” With that, they have all the information they need. To read more about the scam, see the FBI’s story here. More than 27,000,000 children aged 5 to 14 ride bicycles, the Centers for Disease Control and Prevention estimated in a 1994 study. Off-road bicycles, known as mountain bikes, account for 62 percent of new bicycle sales in the United States. But they are not just for off-road use. Mountain bikes are as frequently seen on city streets as well. 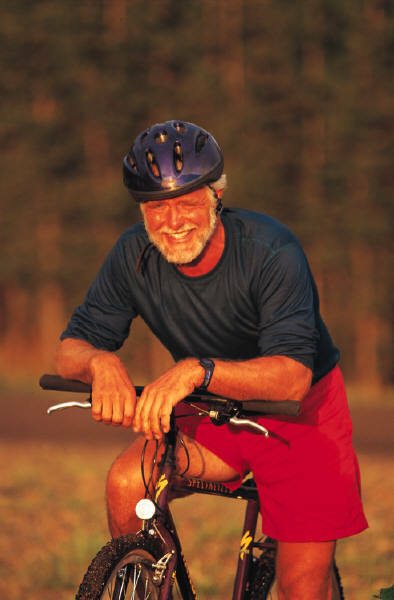 A study in American Family Physician reported on how often people were injured when riding a bicycle. Head injuries accounted for only between 22 and 47% of all injuries. Collisions with cars and trucks accounted for the over 60% of the catastrophic and serious injuries. Injuries involving mountain biking are most common in men between 20 and 39 and are often caused by the rider striking an object or losing control on a descent. For more about mountain biking injuries, or if you are interested in the full text of the article, you can see it here. If you or a loved one is seriously injured or killed in a mountain biking accident, call us at Dixon Law Office. We are cyclists and have the experience in the saddle and in the courtroom to get you the compensation you deserve. Call us today at (708) 354-9880 or email us here. We are here to help. Eight years ago, a moveable soccer goal tipped over onto the head of Zach Tran, killing him. A new Illinois law will prevent serious injuries and deaths like Zach’s. The new law is called the Moveable Soccer Goal Safety Act and was recently signed into law. The new law requires current owners of moveable soccer goals to create a soccer goal safety and education policy that outlines how the organization will specifically address the safety issues associated with movable soccer goals. It also requires all soccer goals sold in the future be tip resistant. If you or a loved one has been seriously injured by a tipping soccer goal or any defective product, call us at Dixon Law Office at (888) 354-9880 or contact us by email here. We are here to help. The dangers of acetaminophen in children has been known for years but parents often don’t know there is any risk. They assume that because the medicine is available over-the-counter, it is safe. Often labels are so confusing it is difficult to determine the right dose and even when they do, the labels frequently don’t explain the risk. Overdosing of acetaminophen can cause simple problems like an upset stomach. In serious cases, overdosing can cause nausea, vomiting, kidney failure, even death. The U.S. Food and Drug Administration recently published a guide on the safe use of acetaminophen in kids. “The need for this guide shows what a poor job the drug companies do at informing consumers,” said G. Grant Dixon III, founder of Dixon Law Office. Grant has spent decades holding drug companies responsible for the defective products they sell. Most recently, he was one of the few lawyers in the country to take on the manufacturer of Zicam. The results speak for themselves. Dixon Law Office has secured millions of dollars in compensation for victims and their families from corporations big and small. If you or a loved one has been injured because of a defective product, or a product that was not properly made, designed, or maintained, contact Dixon Law Office by email or call (888) 354-9880. We can help. At Dixon Law Office, we recently met with the family of a young girl who was at the home of a friend. She was just sitting on the couch. Suddenly, the dog of the family she was visiting, got lose. The dog then attacked the young girl. The vicious attack left her permanently scarred physically. She will likely bear emotional scars for the rest of her life as well. If you or your child has been attacked by a dog, call us at Dixon Law Office. We have years of experience handling animal attack cases and can get you and your family the compensation you deserve. We are here to help. The US Consumer Product Safety Commission and Target have announced a recall of over 200,000 wooden step stools. The stools are made of wooden and have two steps with storage under one of the steps. The recalled stools are called “Circo” and “The Do Your Room.” The stools have been reported to break and collapse when people stand on it. Target has received 26 reports of the stools breaking or collapsing. Fourteen of the victims were children, seven were adults, and five incidents were reported where the user’s age was unknown. Two adults fractured their wrists, and of those victims, one also fractured her hip and pelvis. Additionally, six children and one adult suffered scrapes and bruising. If you have one of these step stools, stop using it right away and return it to any Target store for a full refund. For more information about the recall, you can see the recall notice here. If you or a loved one has been seriously injured because of this step stool or any defective product, call us at Dixon Law Office at (708) 354-9880 or email us here. Chet had been working out at the local YMCA when he passed out. Staffed revived him and called his wife. She picked him up and insisted they drive to St. Alexius Hospital Emergency Room to get Chet checked out. The emergency room doctor suspected Chet had a pulmonary embolism. “A pulmonary embolism is a blood clot that usually starts in the leg and moves into the lungs. It can be very serious if left untreated,” G. Grant Dixon III said, the Dixon Law Office lawyer for the family. The doctor ordered a series of tests to confirm Chet had a pulmonary embolism. Sadly, the staff at St. Alexius did not get the tests done a quickly as they should have. “It was the opinion of our experts that they simply forgot about Chet,” Grant said. Still in the ER five hours later, Chet’s body started shaking violently, he was having a seizure. “He had a pulmonary embolism. Because of that, his lungs could not pump air. That meant Chet was suffocating from the inside-out,” Grant said. Though he had been there 5 hours, the doctors still had not treated Chet for a pulmonary embolism before he started seizing. He died in the ER with his wife by his side. “We took the case on to show that the staff at the hospital did something wrong,” Grant said. Dixon Law Office staff pursued the case for more than 5 years, through trial. “After the trial we were able to secure a large settlement on behalf of the family,” Grant said. The family was impressed with the efforts of Dixon Law Office. So much so, Chet’s wife recorded a video of her experiences. You can see it here. If you or a loved one has suffered a catastrophic injury or death from medical malpractice, call us at Dixon Law Office at (708) 354-9880 or contact us by email. We have the experience to help. On a foggy day in December, 2006, a truck driver pulled out into the intersection of a State Highway. He knew he could not see but he pulled his rig – loaded with 80,000 pounds of corn – into the intersection anyway. Sadly, another truck was coming over the bridge right into the intersection. The second driver, Steven Smith, could not avoid crashing into the trailer of the truck that had pulled out in front of him. Mr. Smith turned to Dixon Law Office for help. The defense tried to argue that Mr. Smith could have swerved his truck over a median and into oncoming traffic. G. Grant Dixon III, founder of the Dixon Law Office, set out to prove that his client was not at all at fault. He and his team were able to locate an independent witness who saw the entire crash. That witness said the driver of the semi should never have pulled into the intersection at all and that the Dixon Law Office client, Mr. Smith, acted properly. The witness also described how seriously Mr. Smith was injured. Indeed, the injuries were horrific. At the time of the crash, Mr. Smith was thrown into the windshield. He was covered in blood and his neck was shattered. Witnesses described how he was barely conscious at the scene. Doctors at the emergency room learned that the 33 year-old driver’s neck was shattered but the injuries were too complicated to be treated there. The patient was forced to return home to El Paso, Texas, with a broken neck to get treatment there. The neck injuries were so complicated, in fact, that most doctors would not even treat him. Finally, one of the premier neurosurgeons in the world agreed to see him. That doctor later performed surgery using a computer and was able to help treat the condition. Even with that, Mr. Smith was left in terrible pain. Grant then began to prepare the case for trial. He traveled to Louisiana to meet with the surgeon. Face-to-face, Grant was able to discuss his testimony in detail. Grant also discussed the facts with many other witnesses, all to get ready for trial. As the case progressed, the other side asked mediate the case. Mediation is where the lawyers present their case to an independent lawyer who evaluates the case and makes recommendations about settlement. After hours of mediation, the mediator recommended a settlement of $1,400,000. At Dixon Law Office, we combine compassion and strength to respresent all our clients. Dixon Law Office founder, Grant Dixon, has been recognized for his work in the courtroom by other lawyer and his clients. For more than 20 years, he has helped people in the Greater Chicago area and across the nation with catastrophic injury and wrongful death cases. He has won millions of dollars in compensation for his clients in verdicts and settlements because of his ability to take on opponents of all sizes. Find out how he and the staff at Dixon Law Office can help you and your family. For a free consultation, please call 888-354-9880 or contact us online.